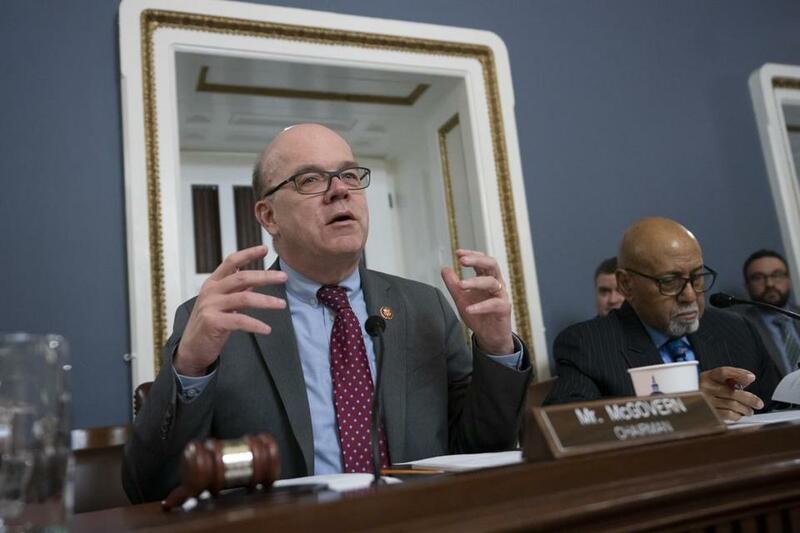 House Rules Committee Chairman RepresentativeJim McGovern leads a panel in Washington on March 11. “I hope he will sign whatever the House and Senate put together, but I’m confident he will get a bill,” he said. McGovern was answering a question about the Strengthening the Tenth Amendment Through Entrusting States (STATES) Act, which his home state colleague US Senator Elizabeth Warren filed last year with Senator Cory Gardne. The legislation, which Trump has said he “really” supports, died at the end of the last Congress and has not yet been formally reintroduced this year. The bill would exempt state-legal marijuana activity from the federal Controlled Substances Act. “That’s going to happen, and I feel really confident that we’ll pass it in the House, and I think that there is bipartisan support in the Senate on this as well,” he said.